The multi-star project is based on the Nipah virus outbreak in Kerala's Kozhikode and Malappuram districts in 2018, which took over 17 lives. Ernakulam District Court here on Thursday issued a stay order against director Aashiq Abu’s Virus on the grounds of copyright violation. The stay was imposed following director Uday Anandan’s alleged plea that the makers stole his story for the film. The stay at a time when the film’s release date has been announced has raised anxiety. The film is slated to release on April 11. The shooting of the film started in Kozhikode in the first week of January. The multi-starrer is reportedly based on the Nipah virus outbreak in Kerala’s Kozhikode and Malappuram districts in 2018, which claimed took over 17 lives. The outbreak was initially attributed to fruit bats, bringing life in Kozhikode and surrounding areas to a standstill. Kerala state government’s efforts in dealing with the situation as well the expertise of the doctors who diagnosed the virus in the initial stages itself were lauded worldwide. The court ruling came following a petition filed by director Uday Anand, who said the story of the movie was registered under his name and was ‘stolen’ from him. The court will hear the case on February 16. 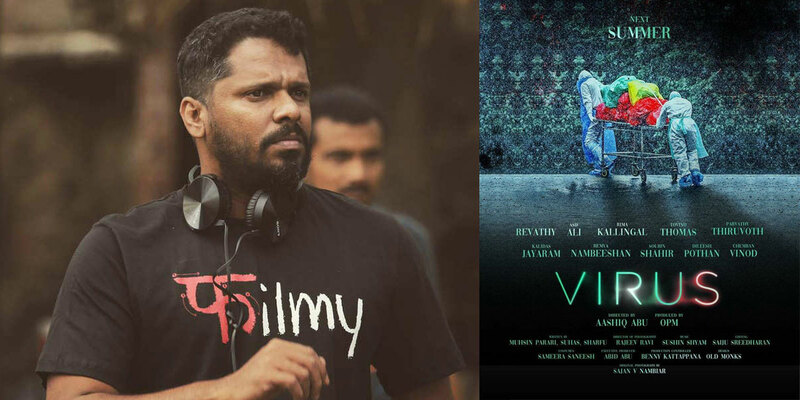 Aashiq Abu, who made waves with Tovino Thomas and Aishwarya Lekshmi-starrer Mayanadhi had announced Virus in September 2018. The film starrs Kunchacko Boban, Tovino Thomas, Revathy, Rehman, Indrajith, Parvathy T K, Rima Kallingal, Aasif Ali, Indrans, Soubin Shahir, Poornima Indrajith, Remya Nambeesan, Sreenath Bhasi, Madonna Sebasitan and many others.